The challenges began almost immediately with the sudden and untimely death of our Immediate past-Chairman Richard (who was serving as a Director). Soon after, both of the persons initially chosen to act as Secretary and Treasurer were unable to perform their duties due to their work commitments. Later, and towards the end of the term, there were other resignations. In addition, two of the Directors were hospitalized with serious illnesses but even as they are still recuperating, Michael Alleyne and Ronald Ramcharan (the new Treasurer) have given yeoman service in difficult circumstances. It may not be usual to single out or even name Directors of an organization but it is important for you, the members, to appreciate the dedication and commitment which enabled Transparency to flourish over the past year. Dion Abdool (Vice-Chairman), Susan Gordon (new Secretary), Josh Drayton and Lorraine Rostant also performed “above and beyond the call of duty”. Furthermore your organization operated with a secretariat of one person for a while, and we are indebted to Cindy Paul for her unstinting efforts. Cindy has now been with us for three years as Administrative Officer and provides a necessary degree of continuity and stability which is absolutely essential – thank you, Cindy. In February, we recruited two new staff who had to be “thrown in at the deep end” and Andrea Chambers-Wilson (Programme Manager) and Anika St Louis have responded admirably. Thank you, too, Andrea and Anika. We are fortunate that we continue to have volunteers who support the cause and whose assistance throughout the year has been invaluable — thank you. We effected a policy of building relationships and networking with Government, other Civil Society Organisations, various state bodies and international organisations. This sharing of ideas was constructive and we are confident that this policy should be enhanced for future collaboration. We also continued to work closely with Transparency International and our launch of the CSO Toolkit and the manner in which TTTI communicated how the CPI methodology was changed and the subsequent presentation of the 2012 CPI won high praise from the parent body. But not simply the completion of the Toolkit/Manual but the conduct of a series of workshops to promote and support good governance among CSOs. The CPI continues to be a major tool of transparency and the further refinement of the methodology is a significant mark of progress as the movement prepares the celebration of its 20th anniversary. The new methodology now allows for a meaningful comparison of a country’s index from year to year and we look forward to this ability to compare succeeding scores and rankings in coming years, beginning with the 2013 Index (expected in early December). One of the features of the year was our second annual Anti Corruption Conference which was well attended and which provided renewed emphasis on some of the issues which we must address in a concerted manner in the coming months: Political Party and Campaign Funding, an Anti-Corruption Commission, Corruption in Sports, Corruption in the Protective Services and, of course, we are committed to the early enactment of new Procurement Legislation as well as T&T’s timely attainment of full compliance with EITI. (b) community meetings at various venues around the country ——- Port-of- Spain, San Fernando, Rio Claro to date and others scheduled for Arima, Mayaro and Tobago. These “Plenty Pepper” Town Hall Meetings are designed to be interactive—each meeting features “anti-corruption” topics introduced by a youth speaker and a more recognized personality with the floor thrown open for audience discussion. 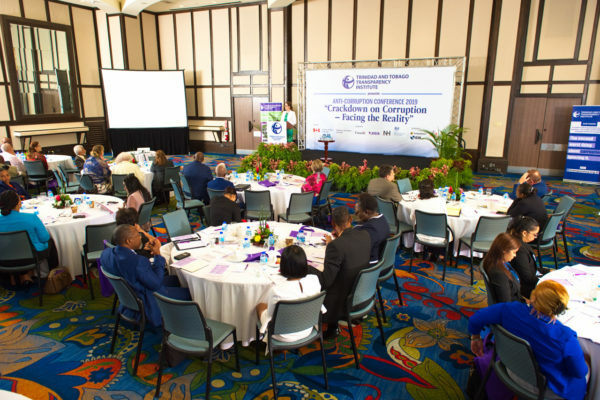 In addition, Transparency has participated in a number of international and regional conferences such as TI’s International Anti-Corruption Conference, TI’s Regional Workshop for the Americas, TI’s International Workshop for Advocacy and Legal Aid Centres (ALACs). Each of these has provided material to assist in TTTI’s own development. 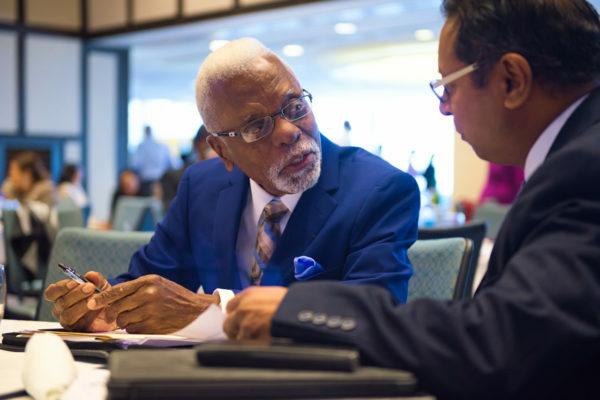 In return, Transparency continues to act as one of TI’s advocates through the Caribbean to encourage those in the region to start their own Transparency Groups/Chapters, e.g., Guyana, Curacao. As TI prepares to celebrate its 20th Anniversary, we recognize that these are critical times globally and locally. This is also a time for reflection and for appreciating the work of our pioneers – present today are Reggie Dumas, Boyd Reid, Frank Clarke, Victor Hart (sadly not Richard Joseph) and so many others who brought us to where we are now. Ours is a Mission that we believe in and are committed to. It is so important to all of you, to the country as a whole, to the region, and to future generations that we all commit to strengthening the Institute and to ensure that we fulfill the mandate of “a country and a region free of corruption”. To achieve this, however, all members must play a more active role. 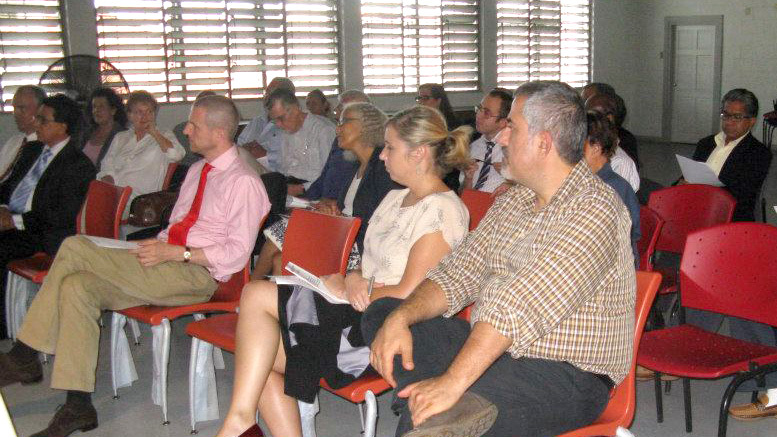 Members must be actively involved in our programmes and projects. Going forward we will have even greater challenges and therefore it is necessary that we the membership, the directors, the volunteers, and staff all get on board; we all need to be pulling our weight– there has to be a concerted effort by us all. We, the directors, understand that those of us who will continue to serve are required to redouble our efforts. 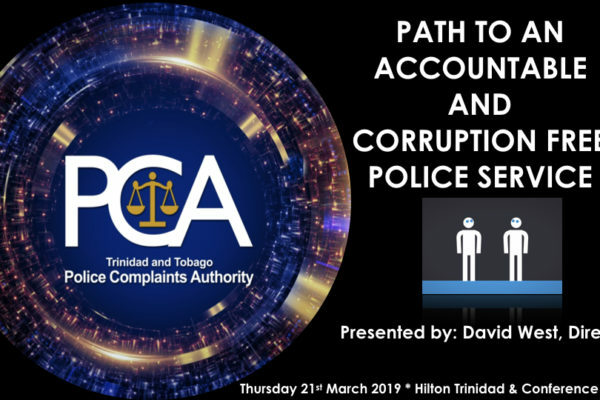 But, we want the membership to play their part so that in the next 20 years of TI, including when our own chapter celebrates its 20th anniversary in 2017, we in Trinidad & Tobago will be able to point to real success in the fight against corruption, demonstrated in the CPI results. We can then truly celebrate with pride.